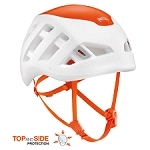 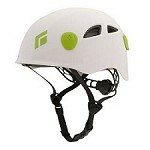 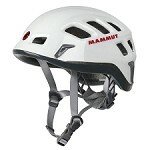 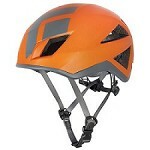 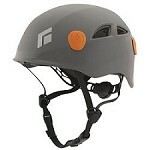 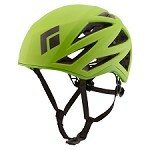 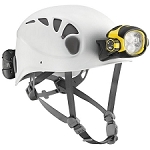 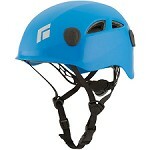 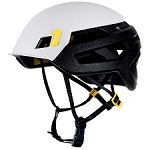 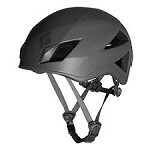 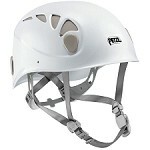 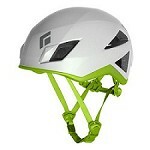 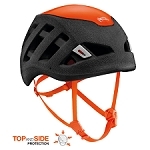 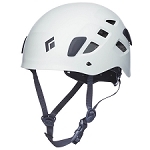 The polystyrene ATLANTIS is BEAL&apos;s most advanced helmet for climbing and mountaineering, thanks to the quality of energy dispersion following an impact. 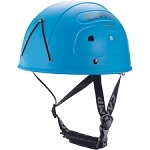 Lightweight, with ventilation and a magnetic buckle, the Atlantis offers maximum protection and comfort for all your climbing & mountaineering adventures, this season. The expanded polystyrene envelops the sides and top of the user&apos;s head to absorb both lateral as well as vertical impact. 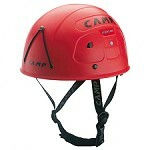 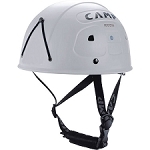 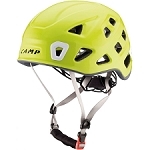 This, together with its low weight, make it ideal for both multi-pitch routes where it is worn all day as well as mountaineering pursuits due to its low weight. 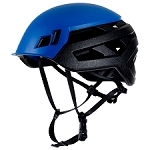 The Beal Atlantis helmet is micro-adjustable thanks to a precise adjustment dial and benefits from a magnetic closure of the chinstrap buckle, an innovative solution for quick and easy on/off with one hand or when wearing gloves. 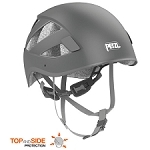 The wide vents on the side and back of the helmet provide exceptional air-flow to prevent over-heating and to keep you cool and dry throughout activity. 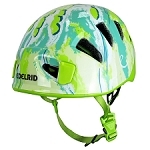 Es un casco estupendo, muy ligero y con buena calidad en general. 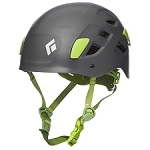 El detalle del cierre magnético es genial, resultando muy útil para cerrar la correa con una mano. 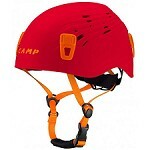 Por contra no permite colgar el casco de la correa en la mochila, a riesgo de perderlo. 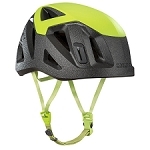 Apto para cabezas de hasta unos 60 cm con un gorro fino.